Armoured electrical cable with copper electrical wire. 14 AWG AC90 includes 2 copper wires and one ground wire. Used in dry locations only, for open and concealed electrical wiring as well as cable troughs and ventilated flexible cableways. Superior electrical cable with copper electrical wire for residential electrical wiring projects. 2 AWG Romex<sup></sup> SIMpull<sup></sup> NMD90 with Freeze Flex<sup></sup> includes 3 copper conductors and one ground wire. 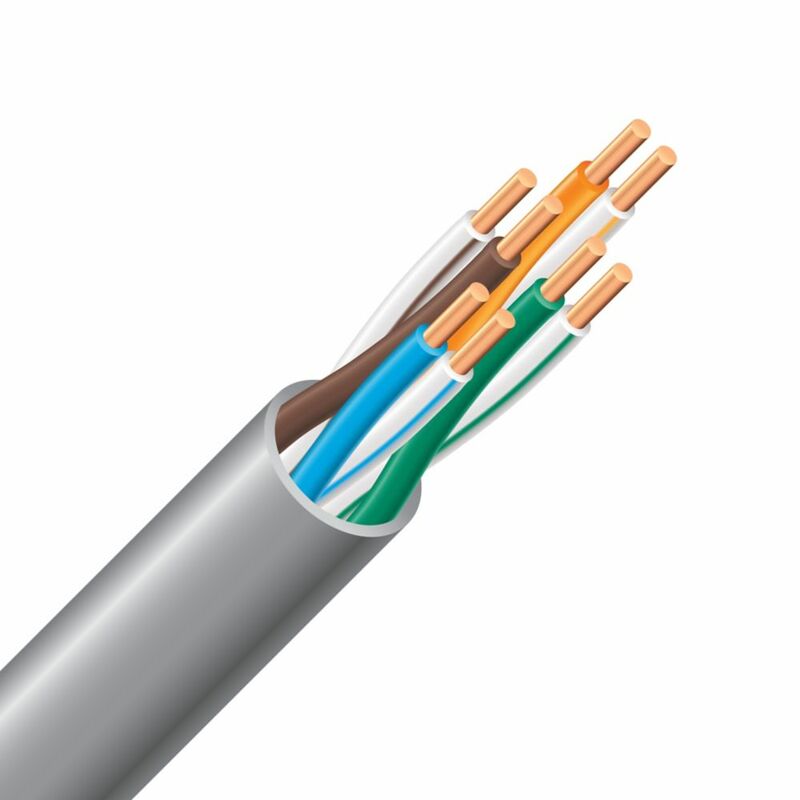 Use it for electrical wiring between panels in condominium construction.Romex SIMpull features Southwires NoLube<sup></sup> SIM technology<sup></sup> which has revolutionized the way wire is pulled into conduit without any pulling lubricant, saving contractors both time and money. Romex SIMpull NMD90 electrical cable pulls 50% easier, is tear resistant, reduces burn-thru and strips easier. Freeze Flex gives you more pliability, easier stripping and added crack-resisance in cold weather. CAT 5e Electrical Riser Cable - 24/4 Grey 300m Southwire's 24/4 CAT 5e riser cable can be used in walls and under raised floors for computer network wiring. Features soft annealed copper conductors in 4 twisted pairings with a rip-cord for easy stripping. CAT 5e Electrical Riser Cable - 24/4 Grey 300m is rated 3.8 out of 5 by 50. Rated 5 out of 5 by Matthew from Great Wire!! I wired my entire house and made several... Great Wire!! I wired my entire house and made several custom length cables!! Rated 2 out of 5 by Robert from I bought 4 boxes, and 3 were good. The 4th... I bought 4 boxes, and 3 were good. The 4th box was all tangled from the very first pull. I’m not sure I can untangle it, and may have to take it back. I’ve been way too busy to have to be dealing with this right now. Not a happy camper. Rated 5 out of 5 by BWilliams from Consistant quality in a tangle free feed out box.... Consistant quality in a tangle free feed out box. Rated 4 out of 5 by MICliff from Wire did what is was supposed to. Boxes make the wire pulling easy. Did not have any tangles o... Wire did what is was supposed to. Boxes make the wire pulling easy. Did not have any tangles or issues.